Gurtam team is constantly working to improve the company products. Now it comes to the new Gurtam website. For 8 years it served us faithfully, but time has come to give the website a new breath of life. 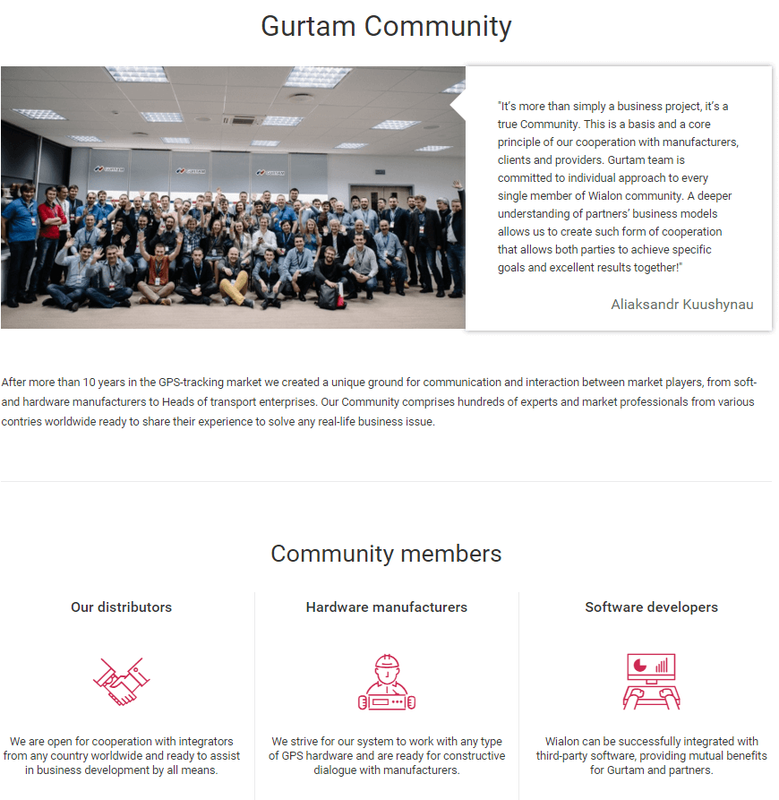 We are happy to present the updated Gurtam.com. We took the best of its forerunner, updated our product information, freshened up and simplified design to improve usability. Then again, it’s up to you to decide whether we've succeeded. Wialon: SaaS and server-based versions, mobile client and product development history. Wialon Data Center: specification, units on the map, logical structure, servers locations and performance statistics in real time. Gurtam Maps: functional capabilities, features and key figures. GPS-Trace Orange: the free service description, functions and GPS Tag Orange application. GPS Tag: features and functions description. By the way, a new page devoted to WiaTag software tracker is expected soon. Integrated hardware: automobile controllers, personal trackers, stationary devices, protocols, retranslators and software for mobile devices. Additional hardware: fuel level sensors, flowmeters and other hardware to be connected to tracking devices to transfer data to the server. 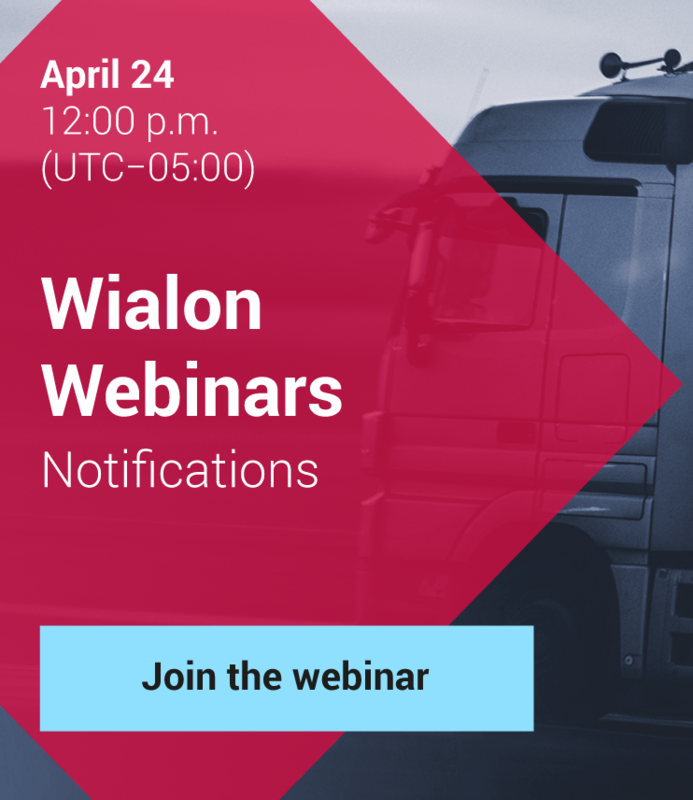 Tachographs: list of recording devices integrated with Wialon. Hardware manufacturers rating by Gurtam: the section is important from a marketing perspective, as it displays hardware manufacturers whose devices are frequently used in conjunction with Wialon system. Our distibutors – Gurtam partners engaged in GPS tracking services promotion in the regions. Hardware manufacturers. 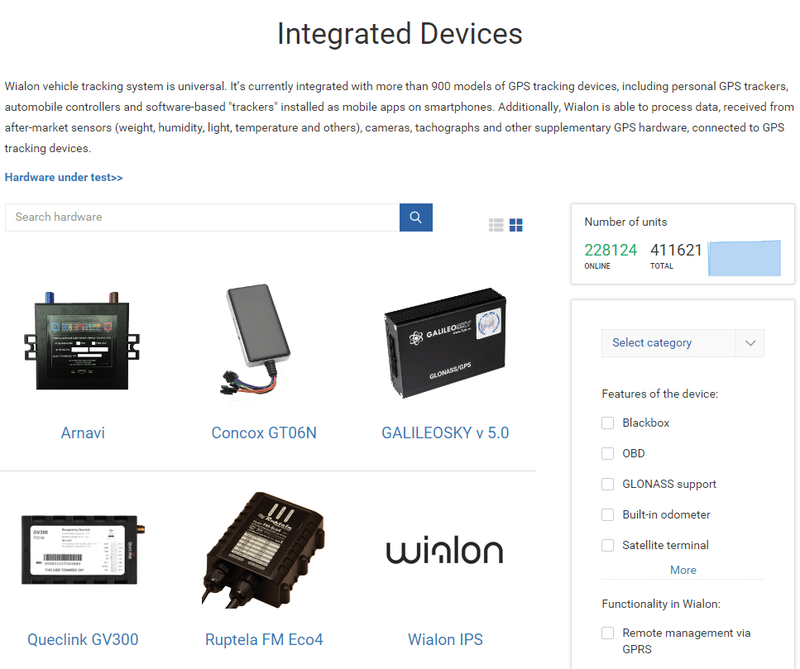 We not only integrate new devices with Wialon, but also keep terms with HW manufacturers. We promise to supplement the section with new company logos. 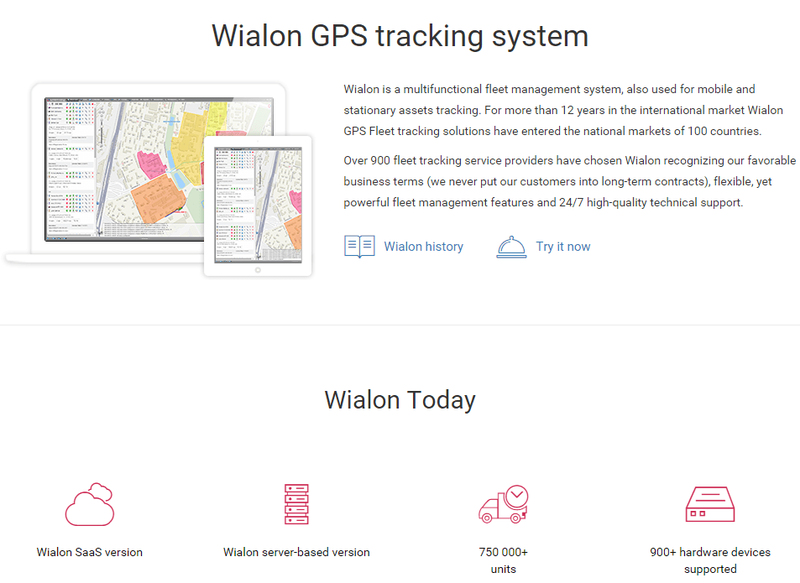 Software developers whose products extend Wialon basic functionality, providing new opportunities for Wialon system application. Technical support, training and certification were granted separate webpages, as these services represent key benefits of cooperation with Gurtam. A new page devoted to marketing support also appeared on our site. Here our partners can download marketing materials and presentations for further promotion of Wialon system. Help page contains links to useful resources which will be helpful to understand Wialon functional capabilities. This section contains a detailed description of our company. History: so much has been done for 14 years in business! We have almost gone back to the past while drawing up key facts and dates. Career in Gurtam: the number of emloyees increases year after year and we are always looking for professionals to join the ranks of our team. Why Gurtam is good? Read about it on this page! Job opportunities: the list of job opportunities for those who long for joining our united and strong team. Gurtam and partners news, products updates and useful cases. This is not the end of our website update. We are planning to implement numerous modules and improvements. And while our new website is being tested by real users, your opinion of user friendliness and informational content is important for us. If you have any questions or suggestions, please email us at marketing@gurtam.com. We’ll give due consideration to your ideas and implement the most interesting of them.